We all want to eat healthy, but might crave a sweet treat after a workout or just because. Wouldn’t it be awesome if this moment of indulgence could still be healthy? The good news is: it can. Even with something as naughty as peanut butter cups. Here is how. The recipe below is good for ten peanut butter cups. Mix the protein powder, coconut butter and water in a bowl and place half of it evenly into 6 silicone cupcake baking forms. Use silicone ones, as it makes the job of getting the cups out of their form much easier. Let it chill in the freezer for 10 minutes, till the mixture has hardened. Then spread 1 tablespoon of peanut butter onto each of the cups as a second layer. Place it in the freezer again for another 10 minutes. Afterwards, fill the remaining half of the protein powder mix into the cups to create the top layer. Let it rest in the freezer for approximately 45 minutes. 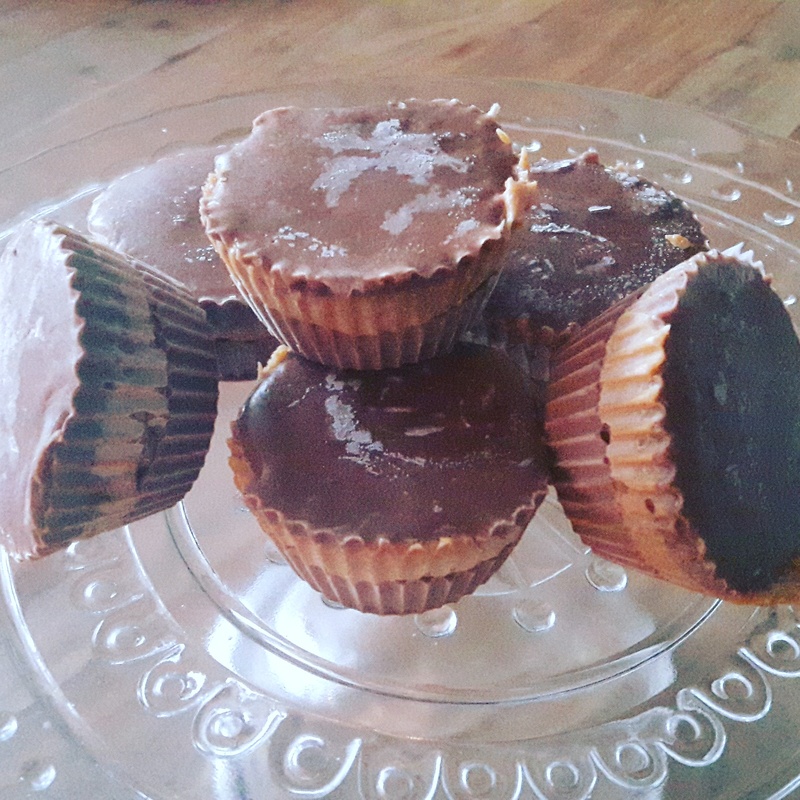 Congratulations, your protein peanut butter cups are now ready to be served! Any treats that you want to keep for later should remain stored in the freezer. So yes, sadly this probably wouldn’t work as a ‘take to work’ snack, as the cups might melt on the way, but they are just perfect for an evening treat at home on your porch or balcony. A last few words regarding the protein powder. We always use the products of Myprotein, simply because they are one of the few brands that do not overload their products with sugar. This is a very important aspect. Plus, they don’t compromise on taste. So you get yourself set up for a win-win-situation with this one. We usually use the stevia one, but I can also highly recommend the peanut butter chocolate flavor they offer. This entry was posted in Healthy Eating and tagged Dessert, Food, peanut butter, peanut butter cup, post workout treat, protein, recipe, snack. Bookmark the permalink.